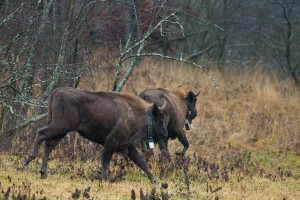 Today, two European bison cows as part of a group of four, were released into the wild in the Eastern Carpathians rewilding area. 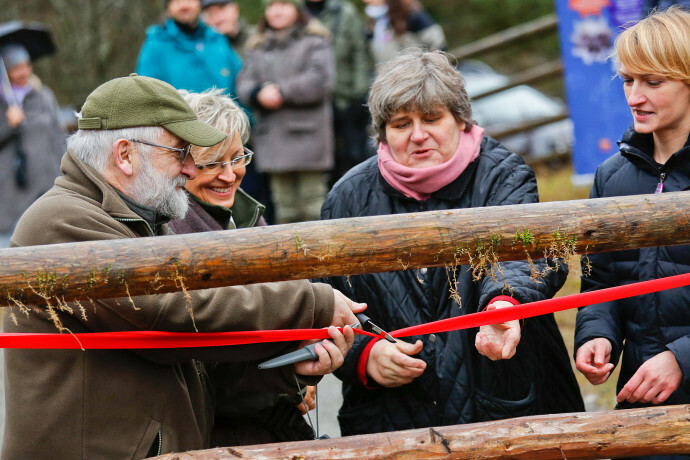 The gate of the enclosure was lifted by Professor Kajetan Perzanowski, Chief of the Carpathian Wildlife Research Station, Dorota Magusia, Vice Head Forester of Komańcza Forest District from State Forest Department, Professor Wanda Olech, Coordinator and President of the European Bison Conservation Center and Chairman of European Bison Friends Society, and Katarzyna Wasiak, Team leader of Eastern Carpathians rewilding area at a special release ceremony. The gate of the bison enclosure was lifted at a special release ceremony. The released animals will be joining over 100 other European bison that are present in this area and augment the population with new genes. The total European bison population of about 270 animals in Bieszczady Mountains is one of the largest free-roaming populations of this species in Europe. 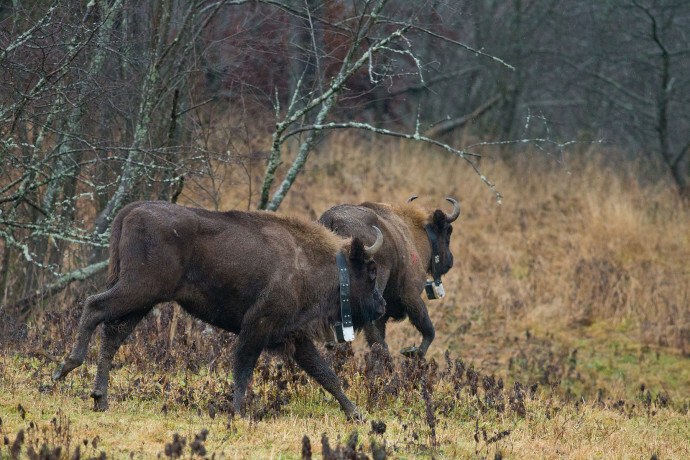 After their transportation from the Swedish Eriksberg Wildlife Park in November, the two females adapted to the local conditions in an acclimatization enclosure in the forest district of Wola Michowa at the Bieszczady Mountains for about a month. The animals rely entirely on the local food and water sources as they prefer the local food instead of additional feeding. Unfortunately, a third female bison died earlier this week from allegedly stress related causes. 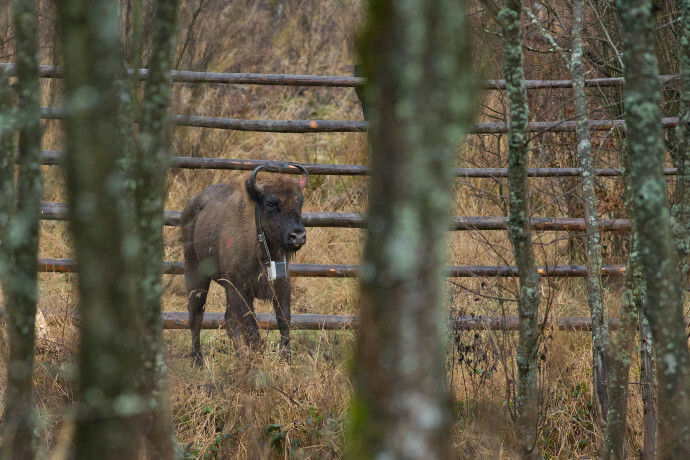 Two bulls, who were relocated from an already free ranging herd from the Muczne area by the Polish State Forest, will be soon brought to the area to build a group with the two females together. 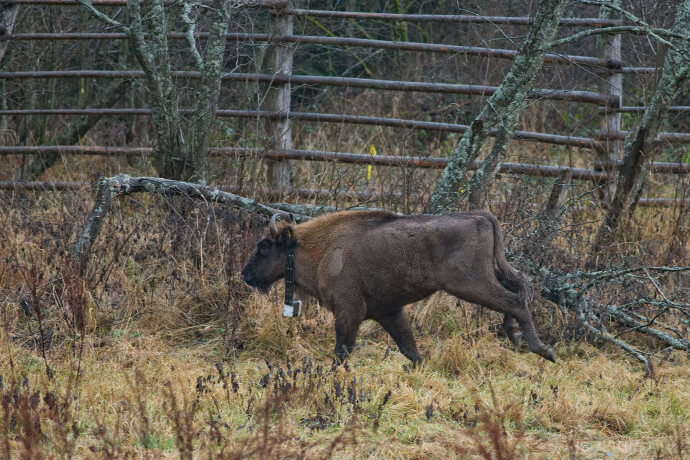 European bison released into the wild in the Eastern Carpathians rewilding area, 19 December 2014. -“Protecting European bison requires special actions like an enrichment of the gene pool in the existing wild populations. 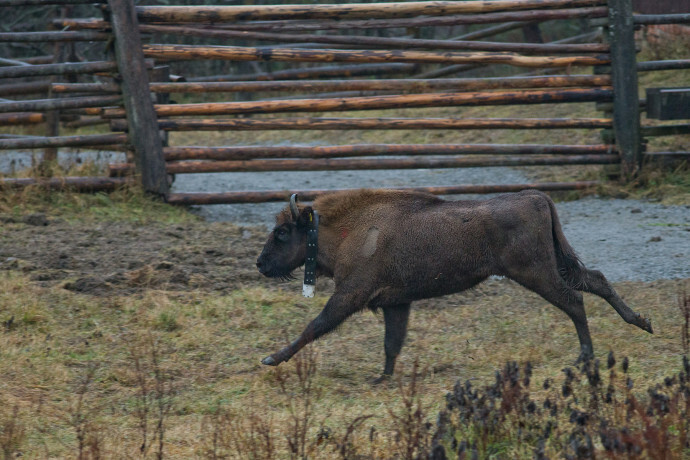 In practice, this means transportation of individuals with known pedigrees and selected on the basis of genetic analysis and the European Bison Pedigree Book (EBPB). 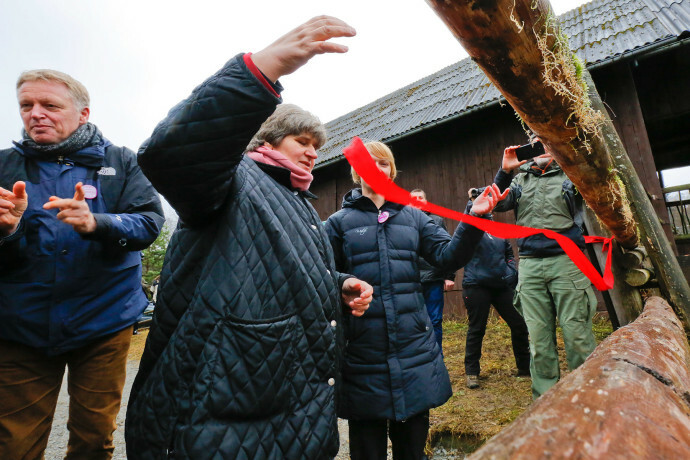 This has been carefully done with the released animals of today and we hope they will strengthen its genetic pool and thereby reduce the degree of inbreeding, making the herd more long term viable”, says Professor Wanda Olech, Coordinator and President of EBCC and Chairman of European Bison Friends Society. 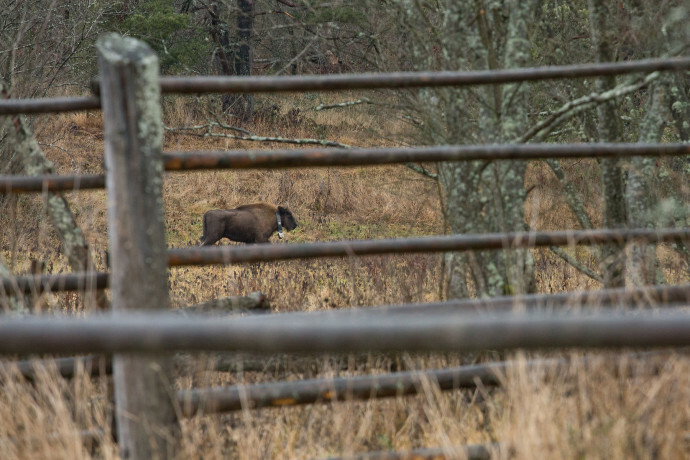 -“We are exited we can contribute in strengthening the bison population in this area, and it is a great sighting to see the animals taking their freedom. 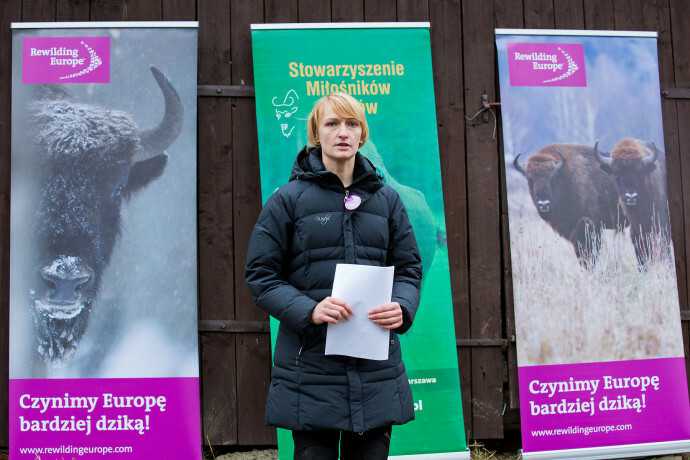 We are looking forward to cooperating with the State Forest Department, who is ultimately responsible for the survival of the bison in the Bieszczady region”, says Frans Schepers, Managing Director at Rewilding Europe. 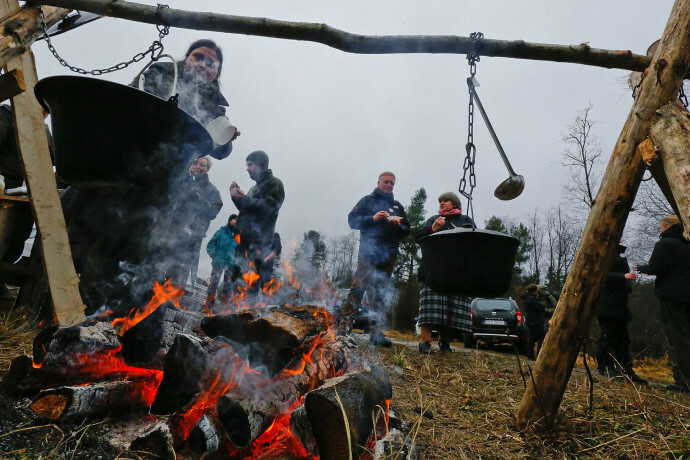 -“Fifty years ago, thanks to foresters, European bison were back in Bieszczady. First bison were located in Stuposiany Forest Division. It was the reason why the last year was called The Carpathian Year of Bison. First bison came to Komancza Forest Division in 1976. 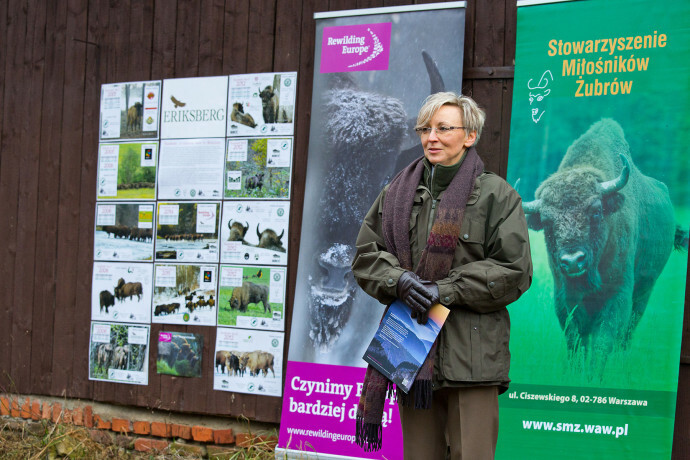 Later, from 1977 to 1982, next bison were coming there and they started a free bison population located in the west part of Bieszczady”, says Dorota Magusia, Vice Head Forester of Komańcza Forest District. “However, a new generation holds a high level of kinship. Bison that were introduced in 70’s and 80’s were released exactly in the same place as the bison from Eriksberg today. The two new bison have a low level of kinship with the herd already living in the forests of Komancza Forest Division”. 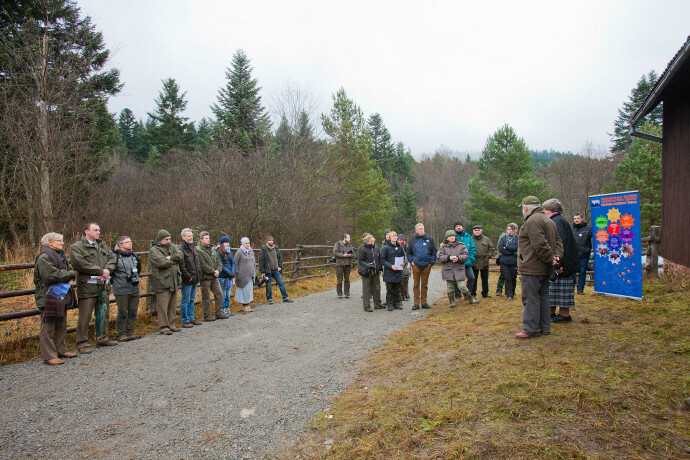 – “This is a very important first step of the Rewilding Europe actions in Eastern Carpathians. 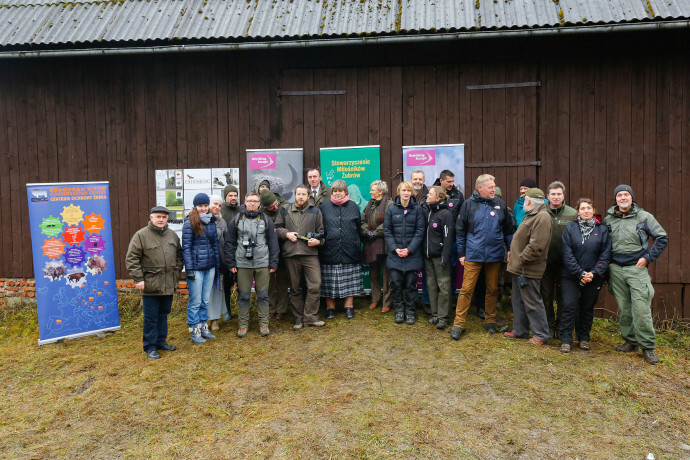 As rewilding team in Eastern Carpathians we are very excited about all the work ahead of us towards making our area wilder by supporting our wildlife populations, which are unique in Europe”, says Katarzyna Wasiak, Team leader of Eastern Carpathians rewilding area. The European bison, the largest wild herbivore in Europe, became extinct in the wild in the early 20th century, due to habitat degradation and fragmentation, intensive hunting and poaching. Only 54 individuals remained in captivity with a known pedigree. Contemporary population of the species derived from only 12 distinct individuals, and this narrow gene pool formed the basis for a large-scale breeding, reintroduction and translocation program. 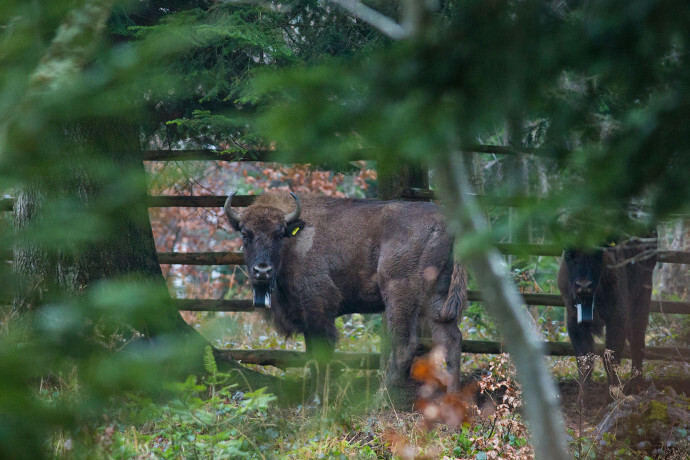 This has resulted in the re-establishment of a number of wild European bison populations. 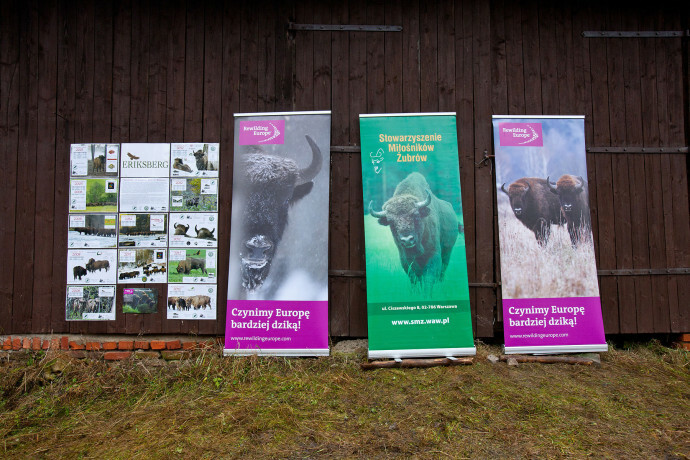 European bison release in the Eastern Carpathians rewilding area. 19 December 2014. 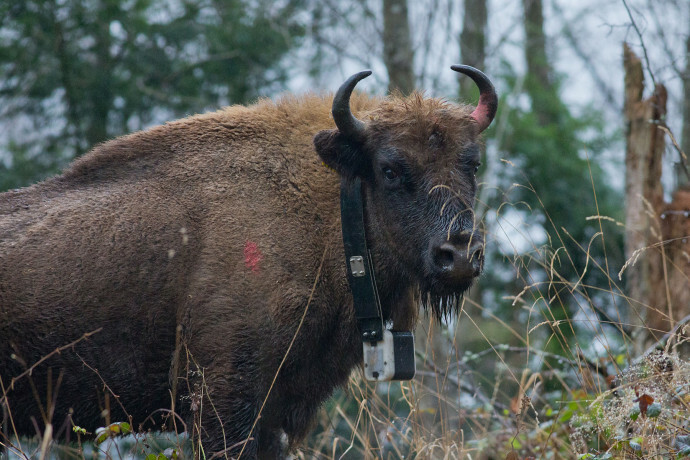 Rewilding Europe and the European Bison Conservation Centre (EBCC) support existing populations of the species in different parts of our continent. 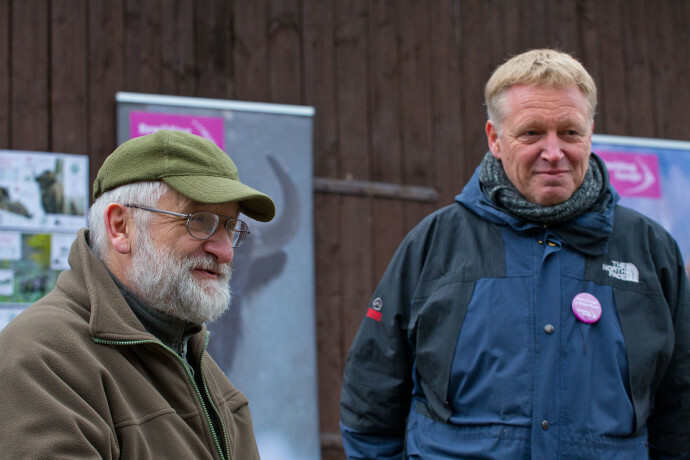 The recently signed memorandum with the European Bison Conservation Centre ensures the genetic viability of the herds, and builds further on the opportunities to establish viable herds in all areas, where Rewilding Europe is working – including Eastern Carpathians. 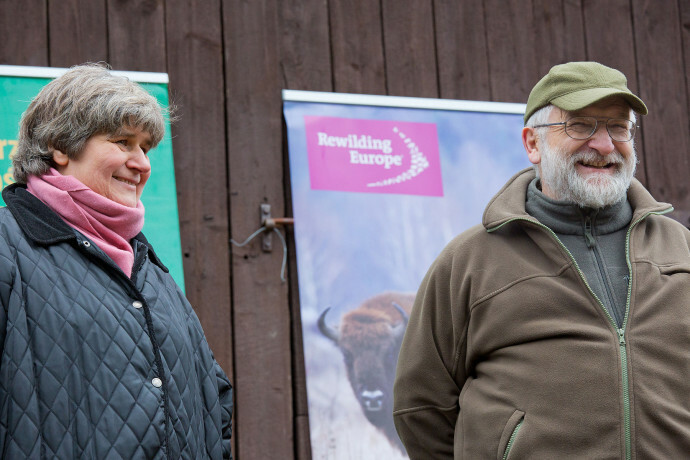 The Eastern Carpathians rewilding area is one of the priority areas in the European Bison Rewilding Plan 2014-2024, which was officially launched earlier this week. In this plan, Rewilding Europe aims to help creating a meta-population here of several already existing herds. The overall ambition in the Rewilding Bison Plan is to support the increase of the European bison population living in the wild to over 5,000 in 2024 across Europe. 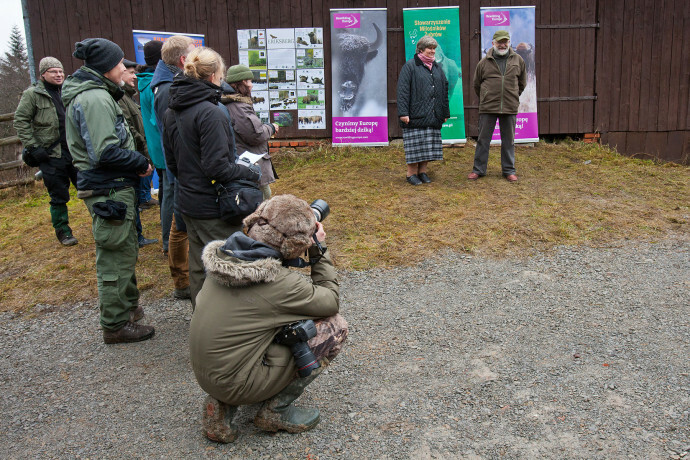 This bison release is done in close cooperation with the State Forest Department in Krosno, European Bison Conservation Centre and the Carpathian Wildlife Research Station. Rewilding Europe also works closely in this area with the Bieszczady National Park Authority, which is responsible for the management of Bieszczady National Park, part of UNESCO Biosphere Reserve Eastern Carpathians. Based on the agreement signed earlier this year both parties are, among others, restoring bison populations with reintroduction possibilities also in the Uzhansky National Park in Ukraine. The Eastern Carpathians, situated in the triangle where Poland, Slovakia and Ukraine meet, is one of the wildest corners in all of Europe. It is one of the few places in our continent with an almost full spectrum of original native wildlife species, even if not yet in their natural numbers. 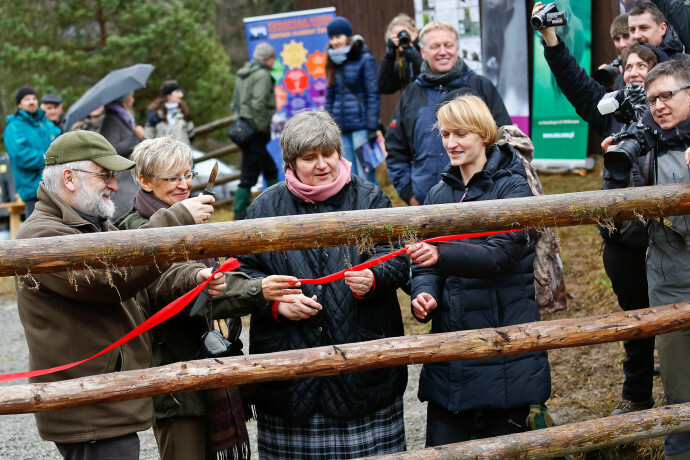 It is also the home of one of the largest wild and free-roaming populations of European bison and the most important refuge for the brown bear in Poland. The Bieszczady National Park (Poland) together with the Uzhansky National Park, the Nadsyansky Regional Landscape Park (Ukraine) and the Poloniny National Park (Slovakia) form one of the largest protected area networks in Europe. 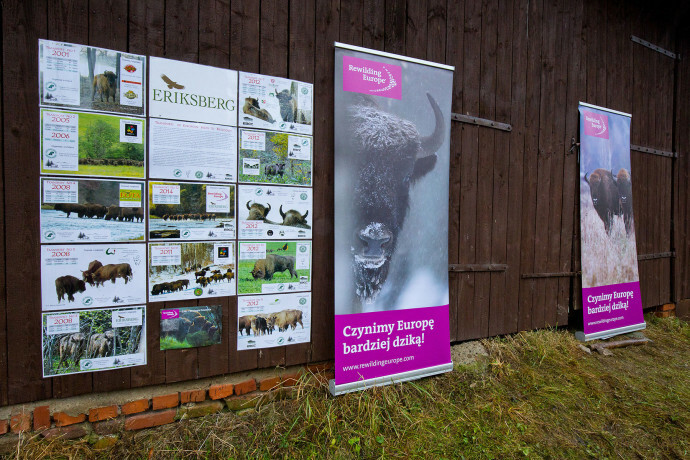 The bison transportation and release in Eastern Carpathians were made possible by Rewilding Europe with the financial support of the Dutch Postcode Lottery. 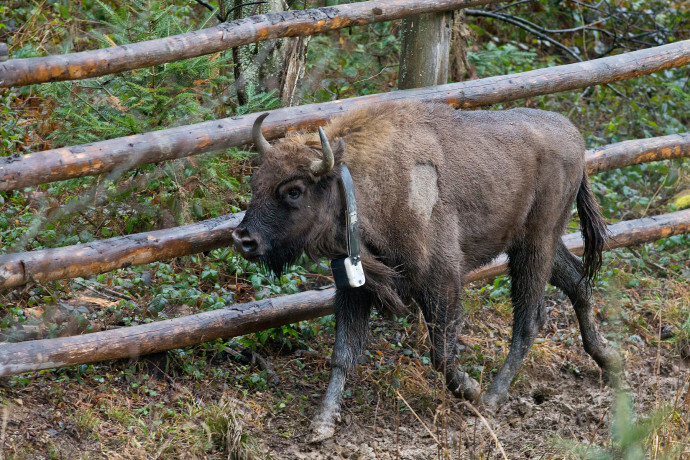 Professor Perzanowski, Chief of the Carpathian Wildlife Research Station PAS, who organized and coordinated the purchase and transport of the bison, will be responsible for monitoring of the animals jointly with the local Eastern Carpathians rewilding team. You can be an active part yourself in supporting the European bison to come back into our European landscapes! Why don’t you help to fund the next five bison to be released into the wild? Check out this Super X-mas gift to anyone with an interest in nature and wildlife. And maybe put it on your own wish list too? Why not give a hairy beast to someone who understands to enjoy it!